THIS tiny caravan may not look like it can double up as a second home – but it comes complete with a double bed and kitchen. 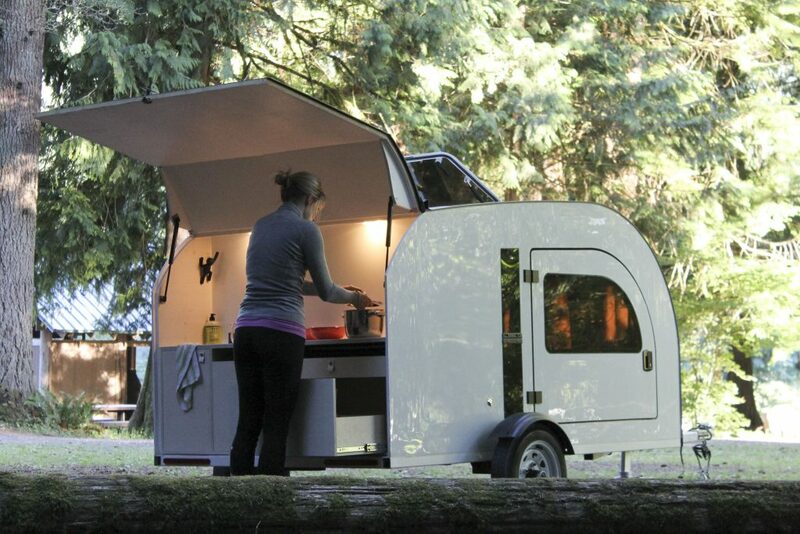 The trailer fits a queen size mattress and a fully equipped cooking space. And despite being on the small side there is a fridge, a cooking stove and even a sink equipped a hand-pumped water system. The home from home also boasts large windows – tinted for privacy – and its designers say the camper lets owners feel close to nature. All the gear on board is portable too which means you can take the stove to the exact spot you fancy having your picnic. 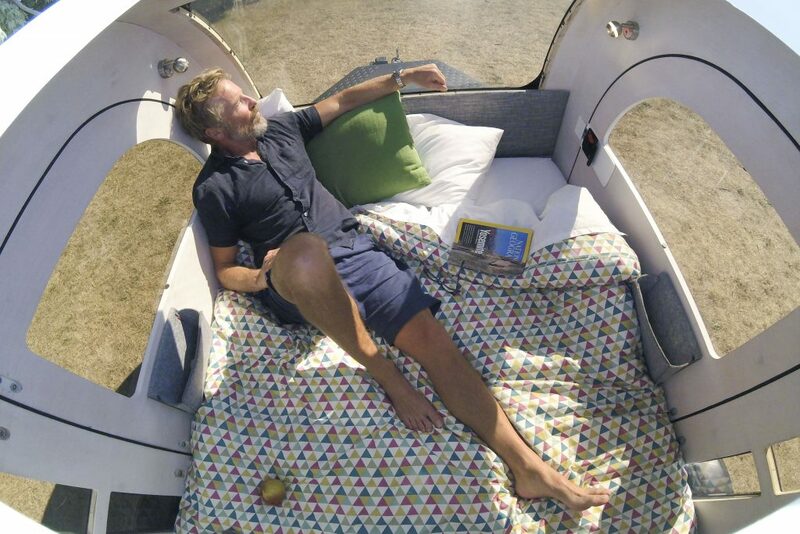 There is even room for storage at the bottom of the bed and two reading lamps. 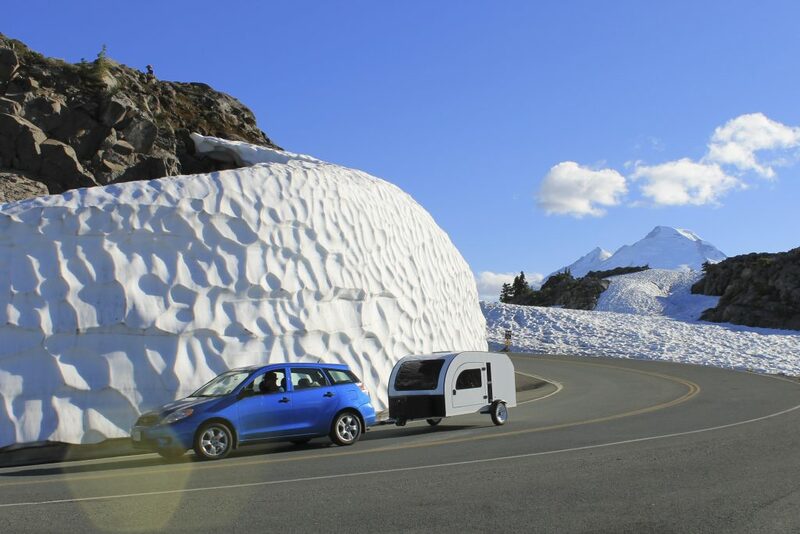 At less than 1,000 pounds the tiny trailer is easy to tow and allows owners to hit the road whenever they like. The Droplet is the brainchild of Diane and Pascal Pillon from Vancouver, Canada. Pascal said: “We wanted a trailer you could hang out in. We also wanted to feel outside. The big windows are a tribute to nature. “At 950 lbs, it can be towed by most small cars. The construction is borrowed from the yachting industry where strength and weight are key. “We made the doors big. We worked on the ergonomics of entry and exit and came up with these large doors.